Why most “Year Long” business plans fail… Let's plan a No Fear Year that helps you to ACCOMPLISH your goals! 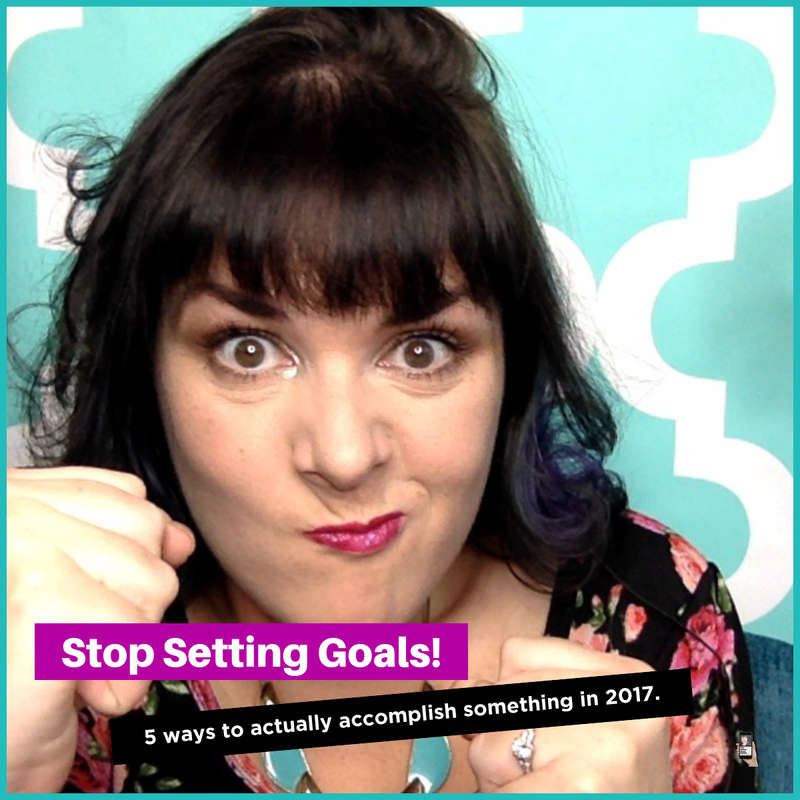 This might surprise you, but I'm going to beg you to STOP SETTING GOALS! Ha! We'll be getting super clear about this, in our free FbLive Support group… Elevate Your Awesome – join us! Here's a recap of the 5 big mistakes most business owners make when setting their goals! Big shout outs to two of my fave biz coaches Todd Herman and Dana Corey! 1. Most business owners forget to review the year they are finishing! INSTEAD – Set aside time to review! – Make sure you recognize the AWESOME and see how you can get more of that in 2017. – AND make sure you recognize the difficult things from this year and see how you can learn from and shift the mistakes in 2017. 2. Most business owners forget that their LIFE is more important than their business. INSTEAD – Get those LIFE priorities in your calendar first. 4. Most business owners set too long of a plan! If you are setting goals for the WHOLE year, it's toooo much! You'll have no sense of urgency and you won't have mini wins along the way. INSTEAD, set 3 month goals! Having Molly in my life!!! Yes!! I think that is huge for the fire department. Have a life! There is a app called OneBigThing really cool! Throwing out the life ring! Brainstorming is brilliant!! It creates even more creativity!! YOU give us that spark!! Meeting you live rocks!! Then in person was wild!! No more coffee for Molly! elevate me, dang I need it! Hahaha! You are flying hi! I love watching your elevation! Evaluate and review, after each performance. Rockin’ habit. Happy birthday! When I see someone’s comments meaningful I then check out what they do and so that is why I know it’s your birthday ? Praying this new year is the best year yet!!! Happy birthday! When I see someone’s comments meaningful I then check out what they do and so that is why I know it’s your birthday 🎉 Praying this new year is the best year yet!!! Failure is an event not a person, it does not define you, but it can catapult you to new heights. Great insight Molly Mahoney. Molly I want to have you on my Pod cast in 2017! Oooo! I’d love that! And, I’d love to have you on the Joyful Journey! Life and family are the big rocks. Quality of life makes the work worth investing time in the work. WE work to live, not live to work. How do you get their comments to pop up on your video like that? Do you edit that afterwards? Love that I found you Molly! Happy New Year! Looking forward to continuing working with you! Ditto Katie Ansell Sevenants!! You are such a rockstar! !